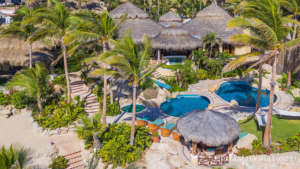 If you’re seeking a setting of breathtaking natural beauty plus all of the creature comforts to make your vacation in Los Cabos truly unforgettable, you’ll find your vacation paradise awaiting at Villas del Mar 152. 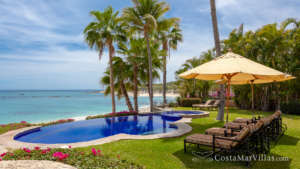 Located just steps to the famed One&Only Palmilla Resort, this attractive villa boasts a spectacular beachfront location that is sure to enchant you. Inside, you’re sure to admire the captivating combination of traditional warmth and artistic decorative accents creating a welcoming and relaxing atmosphere. 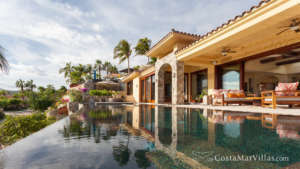 Whether you choose to prepare a bite in your well-equipped kitchen (or perhaps, enjoy the services of a private chef), relax in your comfortable bedroom suite or enjoy lovely ocean views from the home’s inviting living areas, you’ll discover a great deal to love at Villas del Mar 152. *All rates plus a 16% IVA tax and 3% lodging tax. Enjoy Mexico © 2019. All rights reserved.